Mirror, mirror on the wall, what’s the craziest mirror superstition of them all? There’s a reason that mirrors have played a unique role in pop culture and folklore over the years — after all, seeing our reflection is a fascinating thing! 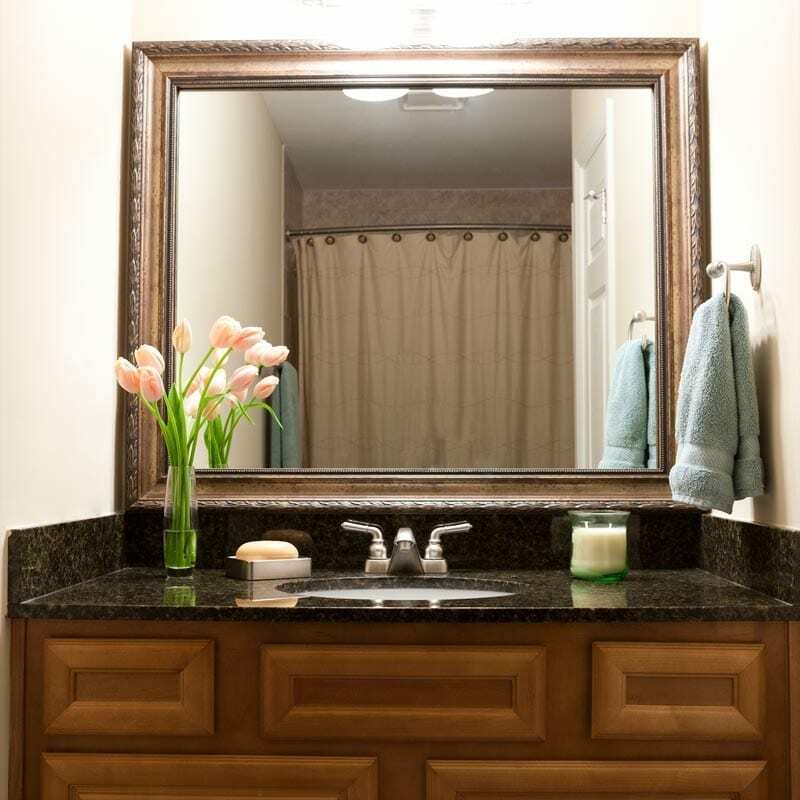 That’s why, just for fun, we’ve rounded up a few popular mirror myths and superstitions. It’s said that fantastical beings like vampires and witches don’t have a reflection when they look in the mirror because they don’t have a soul, and mirrors are meant to reflect our souls back to us. A favorite “dare” in every adolescent slumber party’s nightly game of “Truth or Dare,” this folklore ritual claimed anyone who spoke Bloody Mary’s name 13 times in front of a dimly lit mirror would summon her bloody ghost. Apparently, at midnight on Halloween night, if you peel an apple in one long continuous strip in front of a mirror, then toss the peel over your left shoulder with your right hand, your future husband will be revealed to you in the mirror. Other versions of this myth say you actually eat the apple, so make sure you do your research before you give this one a shot. In order to have a bedroom that follows the principles of feng shui, you better not have a mirror that faces your bed. This is because of the belief that your body and spirit go through a repairing process while sleeping, and it would be damaging to your rest to have the negative energy your body releases during sleep reflected back at you. 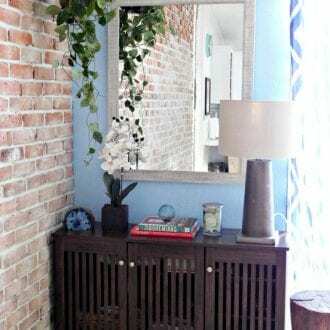 While we don’t know what to believe about some of these superstitions and myths, we know one unequivocal truth about mirrors: they look better with a frame. Luckily, we can help with that. 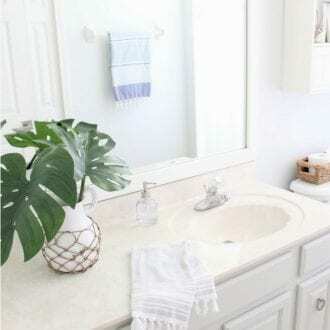 A disorganized and over-cluttered bathroom can take your morning routine from pleasant to hectic with the opening of just one messy drawer. But here’s the good news: it doesn’t have to be this way! 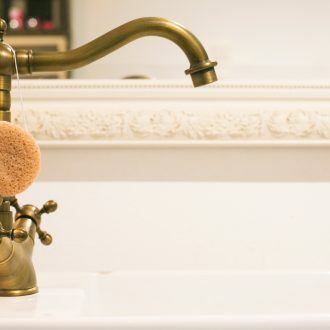 With these few quick de-cluttering tips, you can be on your way to better bathroom organization and a smoother morning routine. It can be tempting to hold on to sample-size products, thinking you’ll want to try them “someday.” However, in reality, those products are more likely to go forgotten and cause unnecessary clutter. Instead, consider donating unopened hotel shampoos and bars of soap to a shelter where they can be put to much better use. Part of what can make your space feel so disorganized is a lack of workable storage options. Invest a small amount of money into game-changing storage options like drawer dividers, under the sink turntables and cute baskets. 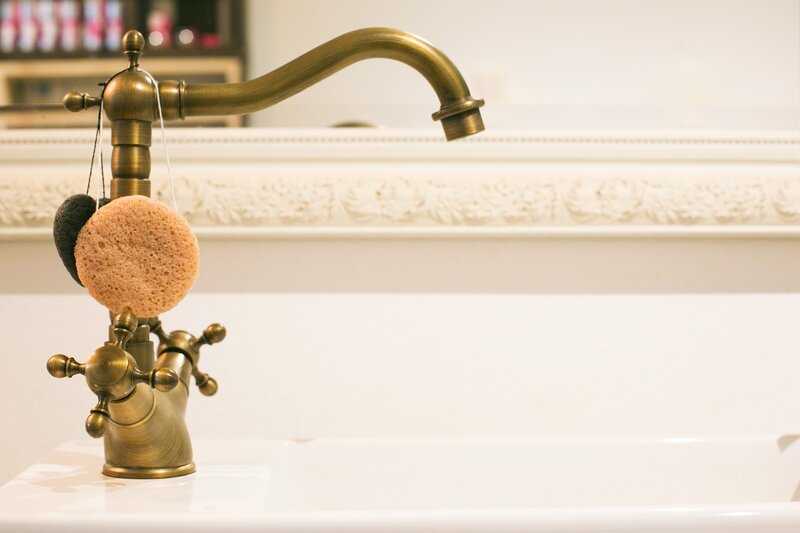 If you’re like most of us, chances are you have some items floating around your bathroom that don’t really belong there — like that extra package of batteries that you meant to carry into the living room, or that coffee mug that really needs a run through the dishwasher. Clear out anything that isn’t essential for bathroom tasks and move it to a location that makes more sense. Reorganizing is great — until you realize you have no idea where anything is anymore. Luckily, labels are great for keeping your system working long after the initial purge. You can invest in a fancy label maker or keep it simple with sticky labels and a sharpie. 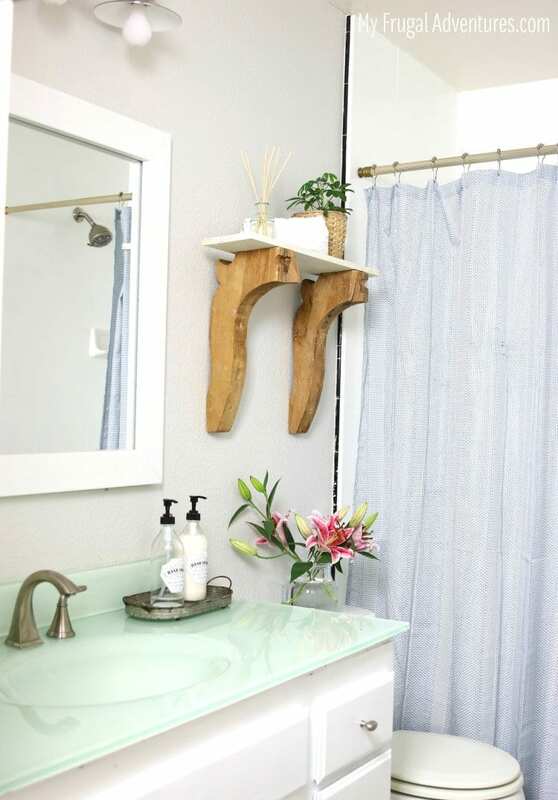 Ideally, your bathroom space should be as functional as possible for your needs. Think through how you like to get ready in the morning and design your organization in a way that makes sense. Group similar use products together to streamline your routine, like hair products and make-up in one area and hygiene products in another. 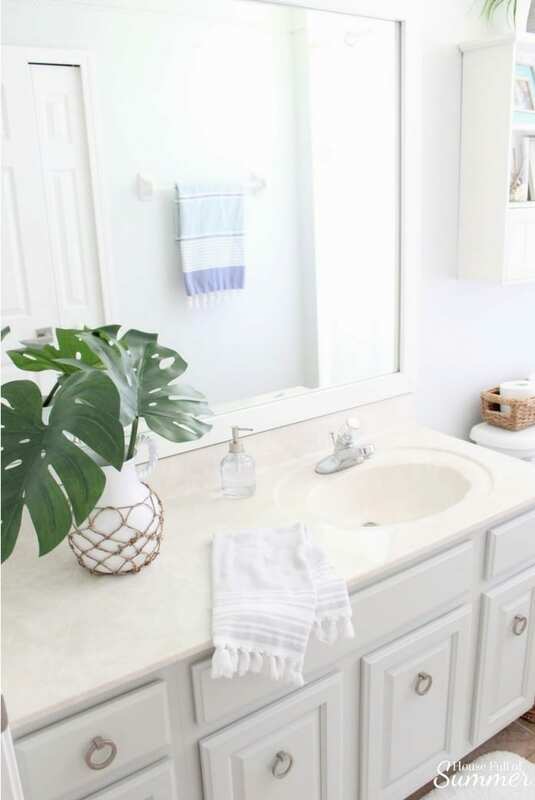 Your bathroom should be sacred — not cluttered. You’ll be surprised how much some simple organization and de-cluttering can change your space and change your mood. 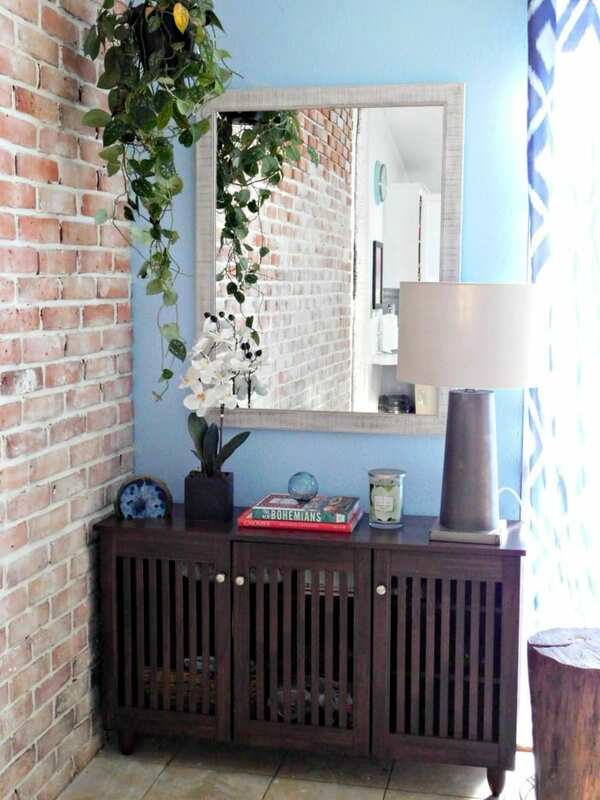 Does your upgraded space need an upgraded mirror? Shop today. With so many ways to stay in touch these days — from text messages, to DMs, to snaps — the art of the love letter has all but fallen by the wayside. However, there’s nothing like a sweet handwritten gesture to boost the day of someone special. And there’s no better place to do it than the bathroom mirror. Unlike purchasing a card or planning a date night, leaving a love note on the bathroom mirror is something you can do quickly and spontaneously. And while it may not require much time and effort, the way it will make the object of your affection feel is more than worth it. Plus, you don’t have to spend a ton of time thinking up what to say — in fact, given the medium, keeping it short and sweet is truly your best bet. Something like, “You look great today,” “I love your smile” or “I’m so proud of you” might be all it takes the change the course of someone’s day. Simply keep a stack of post-it notes or a dry erase marker in your bathroom drawer for when the inspiration strikes. If your loved one is sentimental, they may want to keep your notes, making post-its the better choice. However, a dry erase marker is handy for jotting off a quick note of encouragement and, as a bonus, it easily wipes clean from your mirror with a little glass cleaner. The element of surprise is key with mirror love notes. Picture your loved one walking bleary-eyed into the bathroom to take their morning shower, only to be pleasantly surprised by a sweet sentiment left just for them. Even if you make leaving bathroom mirror love notes a frequent practice, the anticipation of what your note will say on any given day is bound to put a spring in your sweetie’s step. Valentine’s Day may be over, but spreading love should be a year-round practice — and bathroom mirror love notes are the perfect simple way to show someone you care. Love notes look better on framed mirrors. Shop our Add A Frame collection today.